I spoke to Rage Against The Machine’s Tom Morello on Sunday (6 June), shortly before the band’s triumphant Rage Factor victory party. We chatted about swearing on the radio, the Sound Strike Campaign in Arizona, and the greatest riff ever. 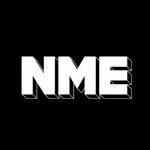 The interview originally went out on NME Radio, 7 June, but if you missed it you can listen via the Soundcloud embed below.